Good things come in small packages. So the old saying goes. But having made your mind up to definitely get an iPad, are you now swithering and wondering whether the iPad mini is the better bet? Let’s have a look at some of the pros and cons to help with the decision to choose between iPad mini Vs iPad 3. The most obvious difference in the first instance is the price. The conventionally-sized iPad is at least £130 more than the mini and this is quite a consideration. The next most obvious point is in size comparison. You quite often see people with iPads who are clearly struggling to fit them into a bag or backpack. They are too big to slip into a pocket and this unwieldiness can be awkward, especially in enclosed spaces. Trying to use it on a crowded tube for example. The new iPad 3 is very slim and it is not too heavy to carry about, but even so, after holding it for some time, you are going to feel it. The iPad mini can be held in one hand, it does not need two as the iPad tends to and it will fit snugly into a handbag or into your jacket. If you opt for smaller for the reasons above, you will be compromising on screen size and quality. If you are used to the retina display of an iPhone or another iPad the iPad mini might be disappointing as it has such a small screen that you will have to pinch and zoom to make reading comfortable and this can be tiring eventually. To be fair to the iPad mini though, it does have as more pixels than the previous iPad 2, so it is as cutting edge as it can be given its smaller screen. Perhaps the best way to think about your choice to is think about how you intend to use the device. If you are out and about all the time and carrying it with you, then the iPad would have to be carried in a separate bag and this could be burdensome if you already have a lot to cart about. The iPad mini will give you the full iPad experience on the move, whilst being much more portable. If you work from home, or plan to use it mostly in your free time, then the iPad itself is the better bet. You will get a much bigger, brighter picture and it is superior for watching movies with its faster processor. Before parting with your hard-earned cash look at some sites that sell you iPad online and check to see if they have a customer review section. These are often very helpful forums. Again, it is an obvious point, but your lifestyle will dictate how much storage you should be looking for and you need to consider this. There is nothing worse than reaching capacity long before you have expected, just because you uploaded a few photos and downloaded some music. As a general rule, 32 GB is adequate for most users, but those who fly frequently should be thinking upwards, towards a 64GB version. 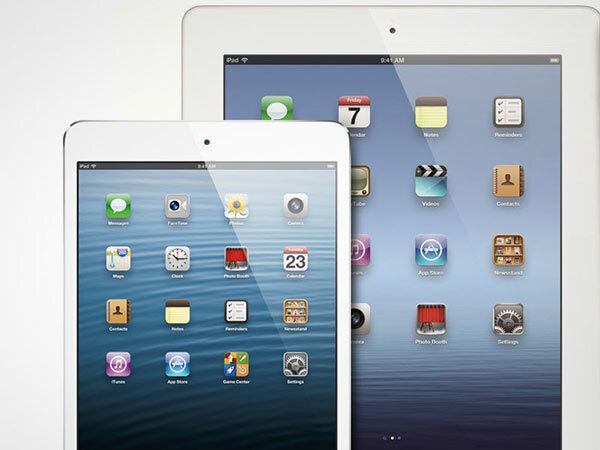 So which device you think is the best between iPad mini Vs iPad 3? Share your views with us.